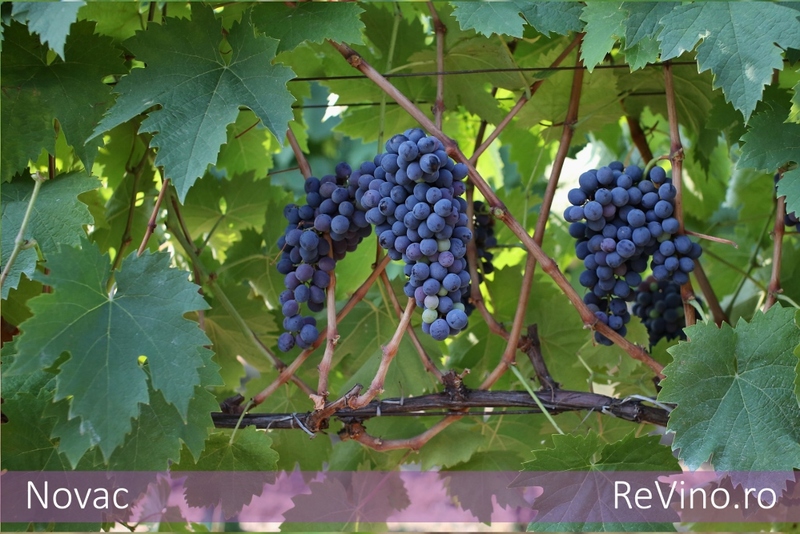 Novac grape variety was obtained by Marculescu Mircea through individual selection﻿ from the variety Negru vartos and variety Saperavi, at SCDVV Dragasani﻿.﻿ It was released in 1987. The grapes are medium in size (240-260 g), cylindrical shaped, uniaxial﻿. The grape cluster is covered in berries. The berries are middle-sized (2.0-2.5 g), egg-shaped, they have a bluish-black colour. The flesh is red, juicy, non fragrant and has a sweet-sour taste. In Dragasani vineyard bud opening is triggered roughly in mid April and vegetation period lasts 180-185 days. The logs have full vigor and medium-good fertility. High production potential of 4.8-6.8 kg per log, respectively 20 to 25 t/ha. 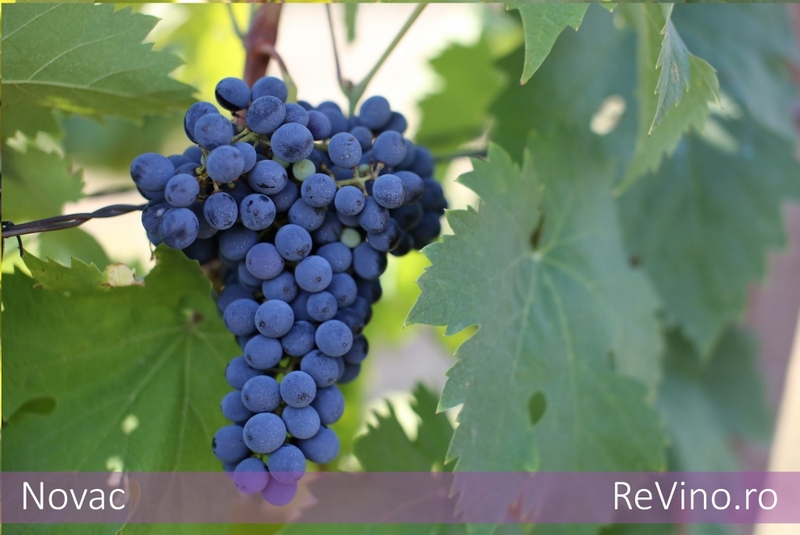 The grapes reach full maturity in mid September, approximately 10 days before Merlot. When the grapes have reached full maturity﻿ they accumulate around 208-220 g/l sugar and the total acidity (H2SO4) reaches 5.2 to 6.3 g/l﻿. Smell and taste: raspberry, soured cherry, cloves, black pepper, dark chocolate﻿.